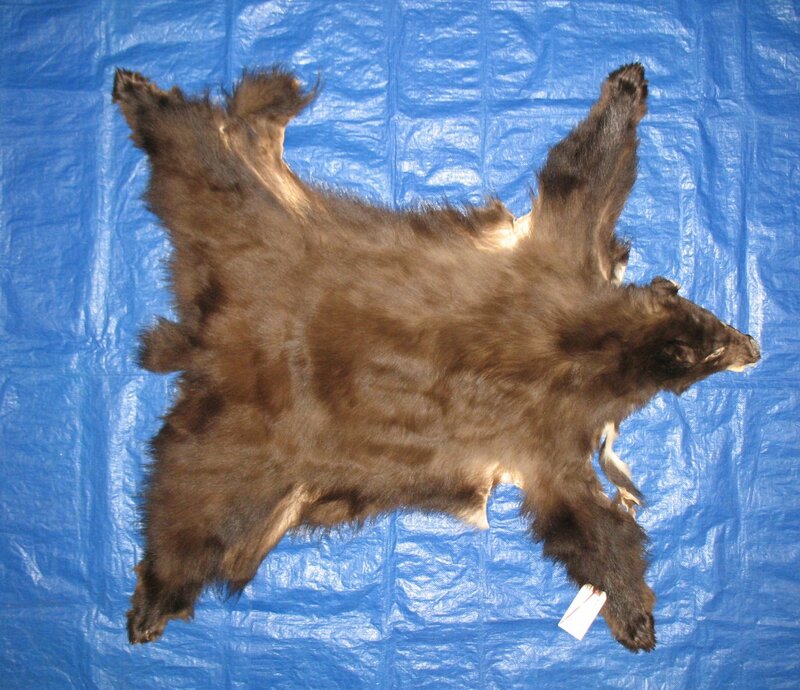 59" total length; NTB = 53"
super, super heavy spring fur. abdominal cut to base of skull. 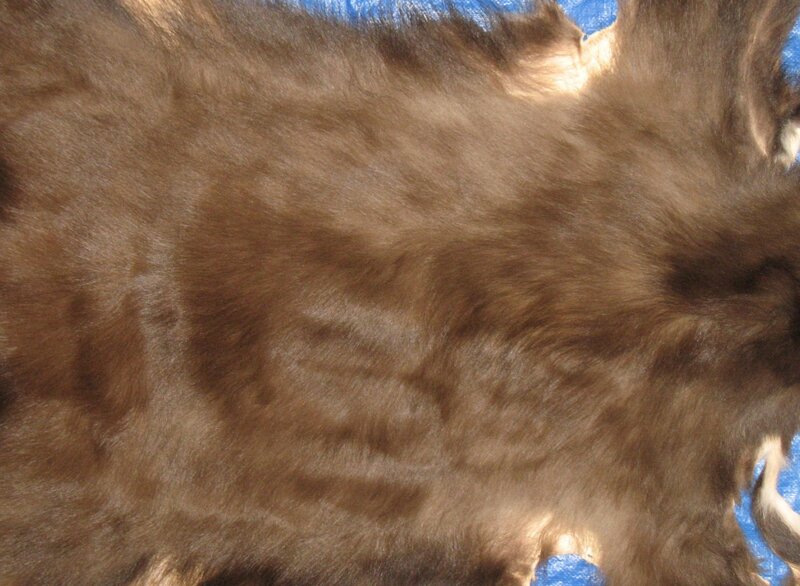 Tanned by New Method Fur Dressing Co. HAS FEET & CLAWS, ears turned, lips split, etc. Hunter made a ~7" cut on anterior left side of brisket that resulted in narrow strip of fur that will have to be sewn together. #1 except left ears with repairable tear; leather slightly damaged (scattered small repairable knife cuts). SUITABLE FOR RUG OR LIFE-SIZE. Gorgeous thick fur to ~5" long. Exceptionally nice skin!